Colonic hydrotherapy is not a cure-all, but an important complementary therapy in the overall healthcare of the client. A standard Colonic Hydrotherapy enema involves the injection of water (one way) into the colon, which is retained and evacuated by the patient. Colonic hydrotherapy is instrument controlled continual bathing of the colon for cleansing and therapeutic purposes. Intestinal cleansing is a therapeutic measure which addresses the cause or source of the problem. Imagine the body as a car; with the right fuel and water, it takes you anywhere you want to go, enabling you to get on with your day to day life, a vital component in this world. Now imagine putting the wrong fuel in that car, or forgetting to put water in the radiator. The garage you take it to would just look at you and sigh, telling you it’s clogged up or burnt out. Your body is like this car. Unless you are one of the few who lives an organic life, your body is taking in chemicals you don’t even know about, every meal you eat. Take the average ready meal or that quick can of vegetable soup you did for lunch. If you read the ingredients on the back, over 60% of the “extras” are things you’ve never heard of, but the manufactures are legitimately allowed to add. Flavour enhancers, monosodium glutamate, Xanthium Gum, stabilizers, citric acid to name a few, but over time these additives clog up the system. Regular use of refined carbohydrates and lack of fiber in the diet increases the transit time of the bowel waste. This literally means you are carrying waste around with you that putrefies and stops the whole body working. Headaches, nausea, sluggishness, fatigue, can all be complaints related to constipation, as the body’s internal system is poisoned by its own bacterial waste. The alimentary tract is much like a sophisticated exhaust system, allowing the body to receive food to make fuel to drive the body. When the digestive system and more importantly the colon is clogged up, then the status of the bowel is enquired about as a matter of routine and a laxative or enema is prescribed. Where can I receive more guidance about Colonic hydrotherapy treatments? 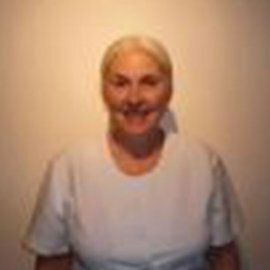 Our Colonic Hydrotherapy clinic (The Cenacle Treatment Centre) is located at former St Mary’s Rectory, Stockport, next to Manchester and Cheshire, provides Colonic therapy treatments along with many other alternative and complementary therapies. Our location is set in peaceful relaxing grounds, adding to the healing and calming atmosphere of our clinic. The aim of our colonic therapies center is to focus a number of alternative health therapies under one roof, thereby offering a comprehensive range of treatments for clients in the North West region.